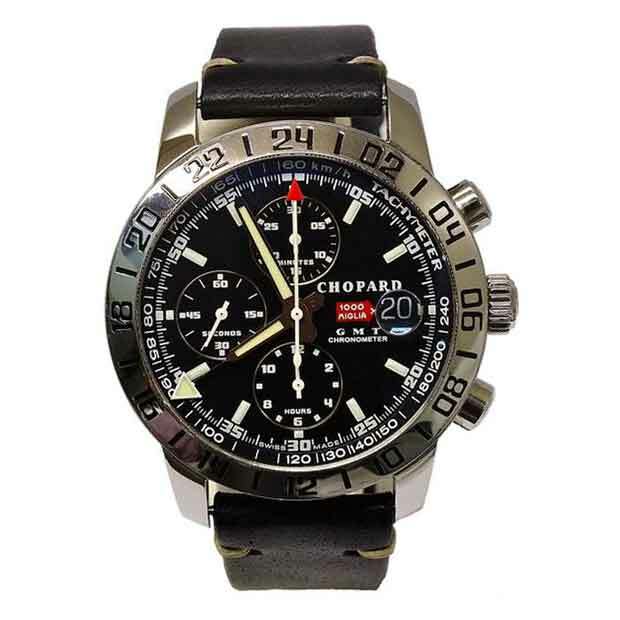 Chopard Elton John Mille Miglia Chronograph in stainless steel. Pink and silver dial with dot and Arabic numeral hour markers. 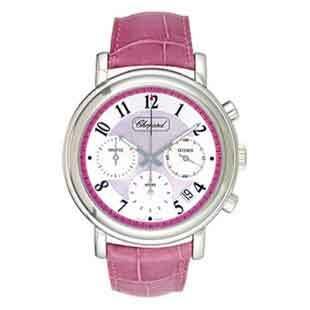 Pink leather strap with stainless steel buckle. Chopard St. Moritz in stainless steel. Copper tone dial with silver tone stick and Roman numeral hour markers. 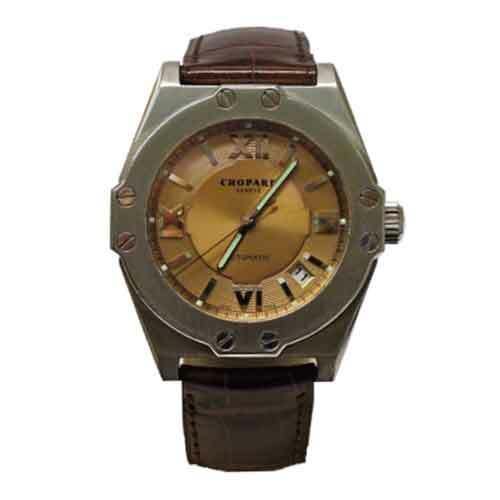 Brown leather strap with stainless steel buckle. Chopard Imperiale Chronograph in stainless steel. 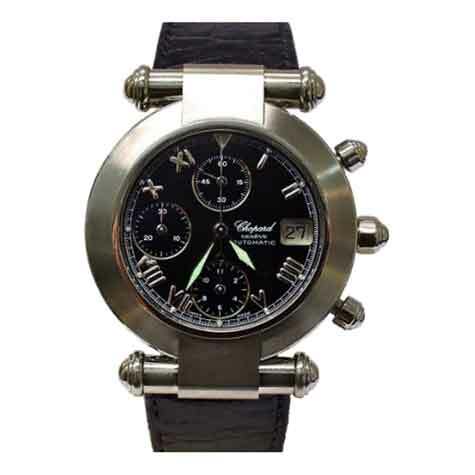 Black dial with Roman numeral hour markers. Black leather strap with stainless steel hour buckle. Chopard Mille Miglia GMT in stainless steel. Black dial with stick hour markers. Black leather strap with stainless steel buckle. 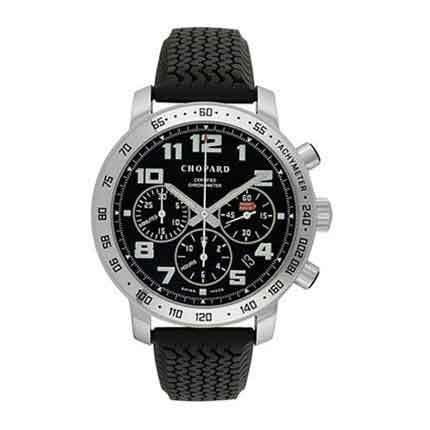 Chopard Mille Miglia Chronograph in stainless steel. Black dial with Arabic numeral and stick hour markers. Black rubber band with stainless steel buckle.